As I wrote in the previous post, Asakusa is a major tourist spot in downtown Tokyo, and tourists are gradually coming back after the Tohoku Earthquake. 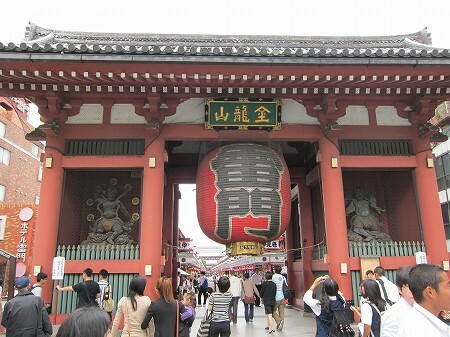 The Kaminari-mon is the first gate of the Senso-ji temple. Originally built in 942, the present gate was rebuilt in 1960 after the big fire. The balloon like paper lantern is 3.9 meter high. 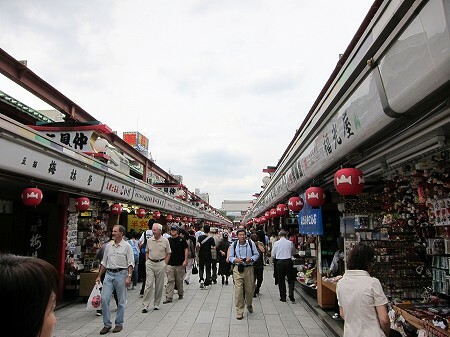 The Nakamise, shopping area between the Kaminari-mon and the main hall of the Senso-ji. The main hall of the Senso-ji temple. 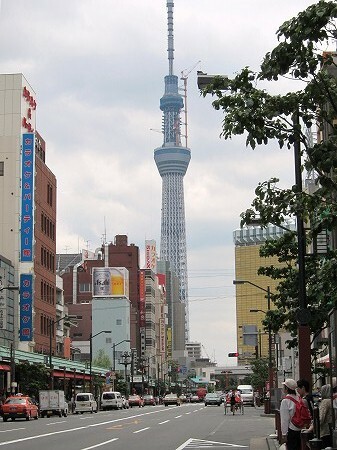 The new TV Tower, the Tokyo Sky Tree near Asakusa will open on May 22, 2012. The Tokyo Sky Tree and other buildings on the other side of the Sumida-gawa, or the River Sumida. 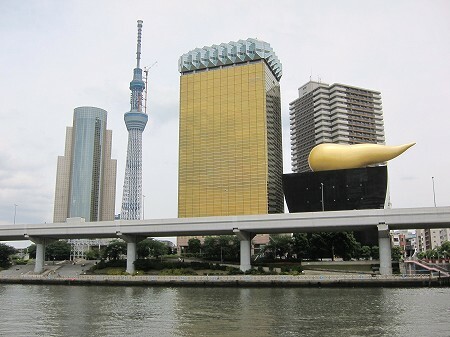 The building with the golden object on the top is headquarter of the Asahi Beer. 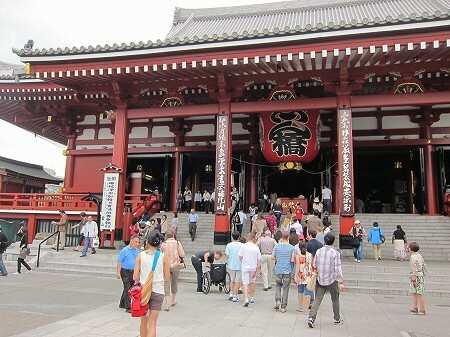 If you want to know about Senso-ji more, check the official website of the Senso-ji in English.